ZPOD, Zonopact Innovation Lab’s latest invention, connects you with the best doctors across the world right away! ZPOD – A smart device that connects you with some of the best doctors, in not just the country but the world! 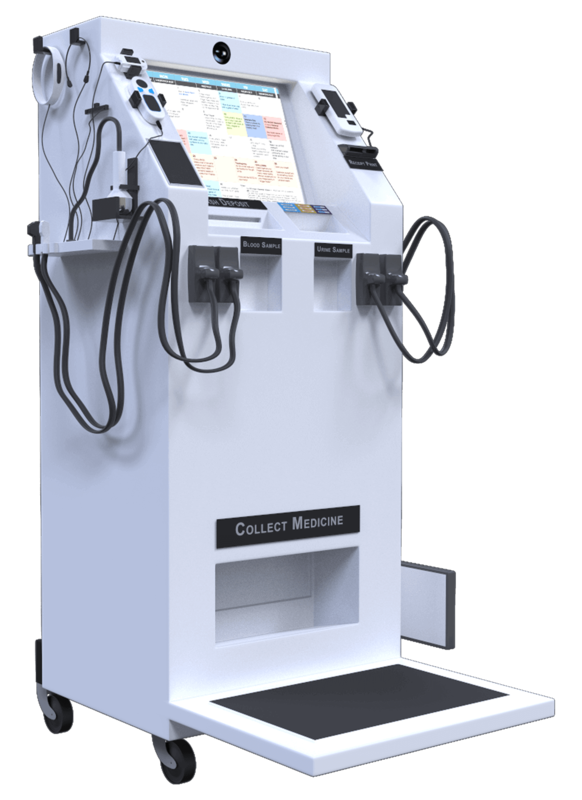 An automated kiosk that can conduct blood examinations, urine tests, x-rays, ECG and ultrasound. A pharmacy that can provide you over the counter medicine. ZPOD helps the masses connect to qualified doctors globally, if there is none available in their region. It allows the patient to send relevant samples, which are then examined, and top-notch medical advice given subsequently. Plus, ZPOD has storage space which stores common medicine. In case, none is available, the device can still get you medicine dispatched from a nearby pharmacy. ZPOD is an automatic kiosk, containing sensors for weight, temperature and blood pressure. The device can determine sugar levels, conduct x-rays, ultrasound and ECG, carry out tests on blood and urine samples, and perform an eye examination. Featuring a camera, fingerprint and retina scanner and a touch screen, the device guides you throughout the medical process. Either a video plays out all the required details or a nurse connects trough a video call, and issues instructions. Microphone, speakers and printers are also included in the packaging. .
Zonopact, Inc. is an innovative software development company. We are innovators and we love what we do. It’s who we are. Our dedicated team is constantly on the verge of creating impactful products keeping you as a client in mind, because for us you come first. We believe our products should help you generate revenue and strengthen your position as a global leader in your industry sector. © 2014-2016 Zonopact,Inc. All rights reserved.